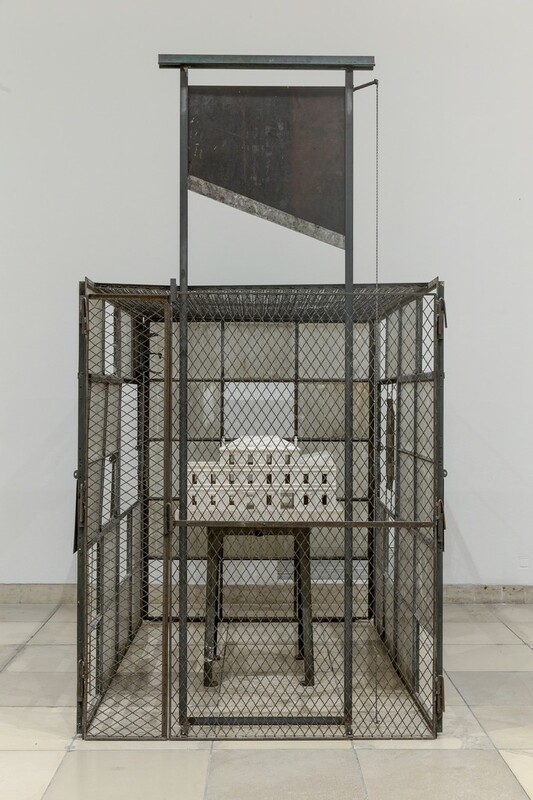 Louise Bourgeois, Cell (Choisy), 1990-1993. Kate Zambreno’s Book of Mutter is a text that invites return: I feel marked by it, wounded in such a way that I must read it again, uncover parts within it that might prick me more. Like the restless photographs that move Roland Barthes in his Camera Lucida, 1981, a book that ghosts this one, Book of Mutter has ‘worked within me’. 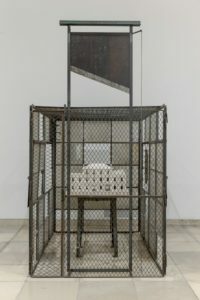 The first time I consumed it, all I could think about afterwards was Louise Bourgeois, and her Cell (Choisy) sculpture from 1990-93 that drives the book’s fragmentary, modular form, and shifting temporalities, its rooms within rooms of memory. But over time what pricked me changed to the image of a forgotten lipstick, once a seductive shade of rose-tinted brown, now crusty with age, ‘eroded with her lips’ long absence’. The lipstick belonged to Zambreno’s mother, who died from cancer 13 years ago, and whose absence she attempts to pick apart in this beautifully raw text which is neither biography, memoir, poem, notebook or essay, but a combination of all, as the maddening effects of grief are felt in her spare units of writing, or in a blank page. Like the fragments of Barthes’s Mourning Diary (written alongside Camera Lucida after his mother’s death, which was not published in English until 2010), this book stutters, splutters and mutters, in emotional fits and starts. Zambreno uses objects and photographs as strange tools through which to travel through all sorts of tenses and to access her mother’s life – from the cancelled ‘Sweet Sixteen party’, because ‘that was the day JFK was shot’, through the years of devout domesticity, to sickness and death – alongside the years that came after: her father’s obsessive scrapbooks, the family arguments and the research and writing of the book. But these memories are not inscribed in chronological order. The image of Kate climbing ‘into the hospital bed’, curling into her, ‘like I am hugging my skinny child, like we are one, once again’, movingly captures how time can fold in on itself, how mother can become child. Time cannot be carved up neatly in Book of Mutter, as the pain of the past marks the present, as though they are one. Zambreno’s mode of collecting, then, is not simply retrospective, but bound up in the process of her writing. She has used ‘the intervening years’ – over a decade – to write and rewrite it, ‘my mother book my monster book’. And so her words have mutated with time, memories have been ‘reframed’. The book shows in its very composition how remembrance leads to reconstruction, an exit from darkness into something resembling hope and light: writing. As Zambreno suggests: ‘Writing is how I attempt to repair myself, stitching back former selves, sentences.’ It is ‘A form of survival.’ Most importantly, and working with a similar style of quotation she let loose in Heroines, it is a form of survival that depends on other voices, the lives and texts that have ‘worked within’ her: from Bourgeois, to Violette Leduc, Marguerite Duras and Barbara Loden, also the ‘visionary artist’, Henry Darger (and her mother). In writing this text, I have changed my mind again: what moves me about Book of Mutter is its desire for writing; its desire for writing to repair, to bring people closer, in spite of distance, its desire to “write with”. Could this be the future of art writing?